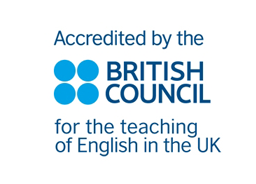 The British Council is the main accrediting body for UK English Language schools through the Accreditation UK scheme: a quality assurance scheme for schools, colleges, and universities which offer courses in English as a Foreign Language (EFL).The scheme gives an assurance of quality to international students who are taking or are planning to take an English language course in the UK. The British Council carry our regular, rigorous inspections to assure that all accredited centres meet or exceed the agreed quality standards in management, resources and environment, teaching, welfare and (where applicable) care of under 18s. English UK is the national association of accredited English Language centres, and the world’s leading language teaching association. They are a UK-registered charity with the key aim of advancing the education of international students in the English language. This is the British Council’s official website for international students who are interested in a UK education. In 2012, the website received two million unique visitors worldwide. The British Council’s Education UK team connects international students with UK education. University of Cambridge ESOL Examinations (Cambridge ESOL) offers the world’s leading range of qualifications for learners and teachers of English. Over three million people take our exams each year in 130 countries. Around the world, more than 12,000 universities, employers, government ministries and other organizations recognize our qualifications as proof of English language ability. In Germany, the institution of Bildungsurlaub allows employees from any sector to apply for up to an extra 10 days of educational leave that in turn is devoted to advancing foreign language skills abroad. In order for a client to be able to spend his Bildungsurlaub at a school, it must be recognized as a Bildungsurlaub centre by a German state authority.